« 3rd International Symposium of Common Languages of Turkic World – Patterns under the topic Intersections in Felt. 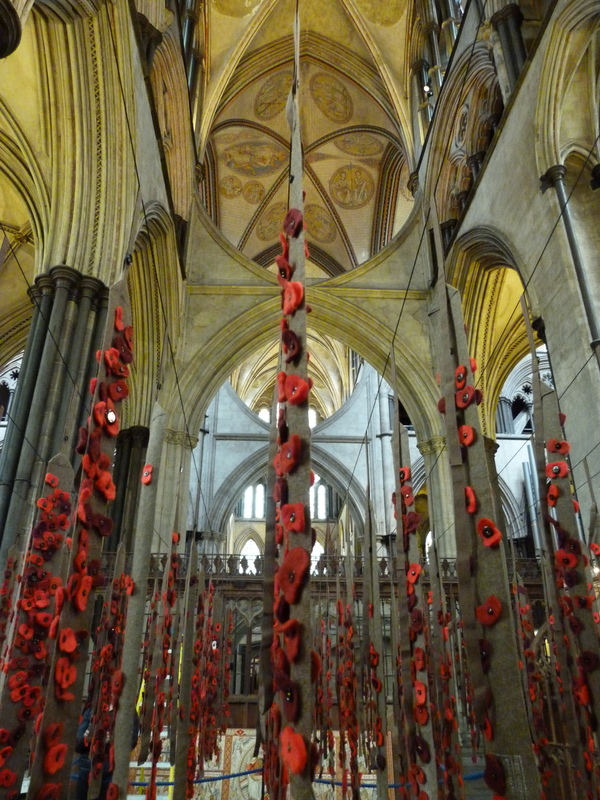 Binding the Past to the Present Through Remembrance is now open in the Morning Chapel at Salisbury Cathedral. An installation of 100 puttees, one to commemorate each year since WWI, each puttee is decorated with hand made felted poppies. The poppies, scattered over the puttees within the Cathedral Grounds, then bagged up individually and given to a stitcher to sew the poppies onto the puttees, represent fallen soldiers who fell randomly giving their lives on the battlefields of war – 5000 poppies in all. The ten rows of puttees represent the graves. The installation, a “field of puttees” is a visual and moving experience through which visitors can walk or just sit and contemplate. The project was made up two sides, art and history/heritage. The poppies were made during a series of community workshops during which participants were shown how to make a sheet of red felt, the poppies were then cut from the sheets using a template and lastly they were stitched onto the puttees. During these workshops elements of the history of the “Puttee” were highlighted. What is a puttee, what was their use, where were they made. Binding the Past to the Present Through Remembrance will be on display in the Morning Chapel from 25 October until 25 November.